In Latin America, knowledge about the demography and health status of adults aged 100 years and over is scarce. Insufficient studies of the elderly population in Costa Rica exist despite having a “Blue Zone” (geographical area with a high concentration of centenarians) in the Peninsula of Nicoya, with a high percentage of centenarians in the districts of Santa Cruz, Nicoya, Hojancha, Nandayure and Carrillo. To describe the clinical, functional, mental and social profile of centenarians residing in the Blue Zone of the Peninsula of Nicoya, Costa Rica. This is a cross-sectional study using a population base of 43 community-dwelling centenarians. A comprehensive geriatric assessment was performed, including sociodemographic information, health status, electrocardiogram and laboratory tests. The mean age of centenarians was 101.93 years, of whom 18 (42%) were men and 25 (58%) women. Two (4.6%) resided in nursing homes. Women had worse results than men in the evaluation of dependence on basic and instrumental activities of daily living, and the short physical performance battery performance test. A high prevalence of low Vitamin D levels (87.3%), atrial fibrillation (9.3%) and visual impairment (46.5%) was found. 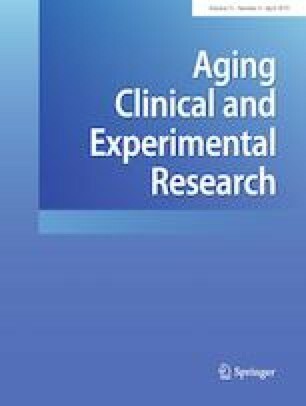 This is the first study describing the medical, functional, mental and social profile of centenarians in the Peninsula of Nicoya (Blue Zone) in Costa Rica. This population has a high prevalence of malnutrition and hypertension with dependence on the basic activities of daily living, and a low prevalence for diabetes, depression, ischemic heart disease, chronic obstructive pulmonary disease, and polypharmacy. Madrigal Leer Fabián, Martínez-Montandón Álvaro, Solís-Umaña Marielos, Helo-Guzmán Faridy, Alfaro-Salas Kattia, Barrientos-Calvo Isabel, Camacho-Mora Zianne, Jiménez-Porras Vanessa, Estrada-Montero Susana, Morales-Martínez Fernando contributed equally. We acknowledge to each of the centenarians for their cooperation, and to their families for their help in the interviews and the warm reception given to the research team; to the national and local health institutions of Costa Rica for their support; to Karen Andersen, MD, for helping in the analysis and interpretation of data, to Tricia Pennycook-Sawyers, MD, former Director of the Center for Strategic Development and Information in Health and Social Security, (CENDEISS), for her support in conducting the field work; Malaquías Monge, MD, for his participation and collaboration in taking laboratory samples; Gendry Diaz-Angulo, MD, Director of the Clinical Laboratory, Hospital “La Anexión”, Nicoya, Costa Rica; Sonia Zeledón for her help in the registry of information. The authors have no conflicting or competing interests to declare. All human and animal studies have been approved by the appropiate ethics committe and have therefore been performed in accordance with ethical standars laid down in the 1964 Declaration of Helsinki and its later amendments.